Scottsdale Art Auction presents their 2015 auction on April 11th, 2015 with online bidding via iCollector.com. 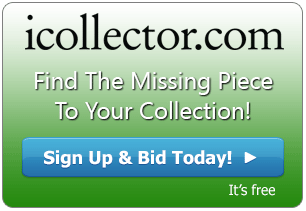 There are currently 340 Lots in the online catalog available for viewing, absentee bidding, and live bidding. 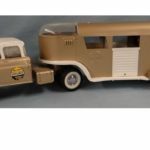 This auction brings together a significant offering of artwork, paintings, bronzes, and collectibles. The auction will draw hundreds from around the country including a significant online bidding presence. Registration is open via iCollector.com through a secure portal and be completed in minutes using any PC, Mac, or mobile device. Scottsdale Art Auction is the hottest art-buying venue in the Southwest, drawing hundreds of collectors from all over the country to attend the multi-million dollar event. 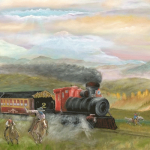 The auction specializes in western, wildlife and sporting art from the 1800’s to living artists. They hold their auction on an annual basis and always bring newsworthy material and results to the marketplace. Early in the sale is a stunning piece of artwork called “Lone Trapper”. This comes in at Lot 47 in the online catalog. This piece is an oil on canvas measuring 24” by 36” and is signed in the lower left and dated 2009 by the artist, Alfredo Rodriguez. 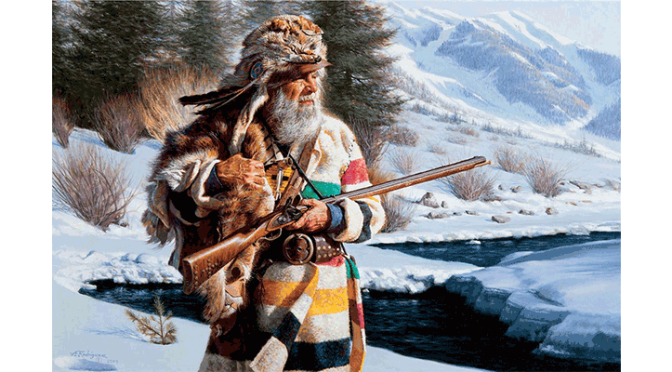 The painting is vibrant with color and depicts a trapper holding a rifle and standing in a beautiful winter landscape. 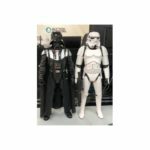 This will sell to the highest bidder on auction day and bidders are encouraged to leave their bids in the system ahead of time to ensure a winning bid. At Lot 118 is a great painting by the artist G. Harvey. 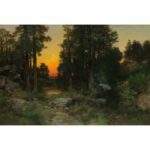 This presents and oil on canvas entitled “In The Land of the Alpine Lakes” and measures 48” by 36” with a signature from the artist in the lower right of the painting. Depicted is a landscape in the mountains with several men on horseback travelling along a trail. The colors and detail are excellent and this will be a standout piece on the wall in any home. This important sale will be split into two sessions on April 11th, 2015. The first session beings at 9AM Pacific Time and includes lots up until 119. The afternoon sessions starts at 1PM Pacific Time and runs from Lot 120 until the end of the sale. Absentee bidding is currently open and bidders can join the live bidding on auction day. All pieces are available for viewing on iCollector.com by searching for Scottsdale Art Auction.